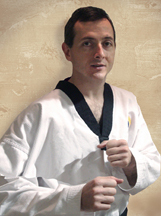 5th degree black belt – Tae Kwon Do. 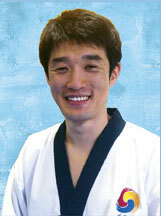 Master Kim is a graduate of Kei Myung University, South Korea and was a member of their demonstration team. He regularly competes internationally and has won Tournament Champion. 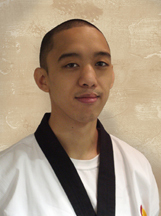 He is a two time Hong-Ik Tournament Champion and New York State Champion. Most recently he earned the 2011 Bronze medal at the US Open. 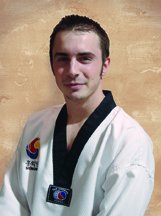 He is a World Tae Kwon Do Federation certified Master with over 15 years teaching experience. 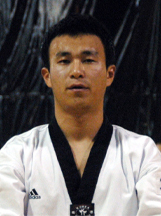 Master Oh is a graduate of Key Myung University, South Korea and was a member of the Korean National Tae Kwon Do Demonstration Team. Master Patrick has continued his training at the Yong-In University Sparring Team training in South Korea. He regularly competes in National and State tournaments and holds a Gold medal in the Yong In University Presidental Cup. Master Joe has continued his training at the Yong-In University Sparring Team Training in South Korea. He regularly competes in National and State tournaments and holds a bronze medal in the Yong-In University Presidential Cup. 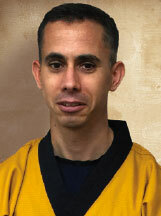 Master Stern is the first qualified Master to Graduate from the elite martial arts leadership SUSA program. He has placed in several state championships in sparring and forms. He has over 10 years teaching experience.